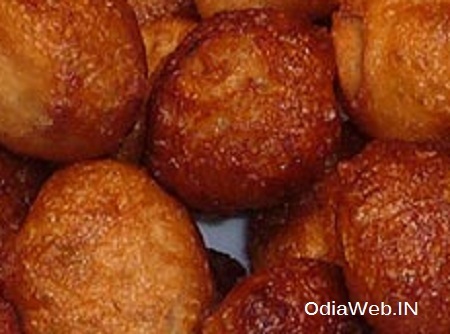 Gulugula(ଗୁଲୁଗୁ୍ଲା) is a breakfast recipe famous in eastern part of India i.e. Odisha. In Odisha, Gulugula is so famous breakfast(nasta). People used to take it with Ghuguni and with real taste of it only comes with Ghuguni. 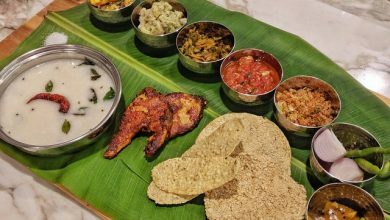 Since some of our visitors are requested to share the recipe in our own language, here our step to share the method to prepare Gulugula a odia breakfast recipe. ଅଟାକୁ ପାଣିଦେଇ ଚିନି, ପାନମହୁରୀ, ନଡିଆ ଯାହାକୁ ପ୍ରଥମେ କୁଚୁକୁଚୁ କାଟି ଭଲଭାବେ ଫେଣ୍ଟି ଗୋଳାଇ ଦିଅନ୍ତୁ. ତେଲରେ ବୁଡାଇ ଭଲଭାବେ ଛାଣିନେବ. ଏହା ଖାସ୍ତାହେଲେ ବେଶି ଭଲ ଲାଗିବ. ଏହାକୁ ଘୁଗୁନି ସହିତ ପରସିଲେ ବେସି ଭଲ ଲାଗିବ.